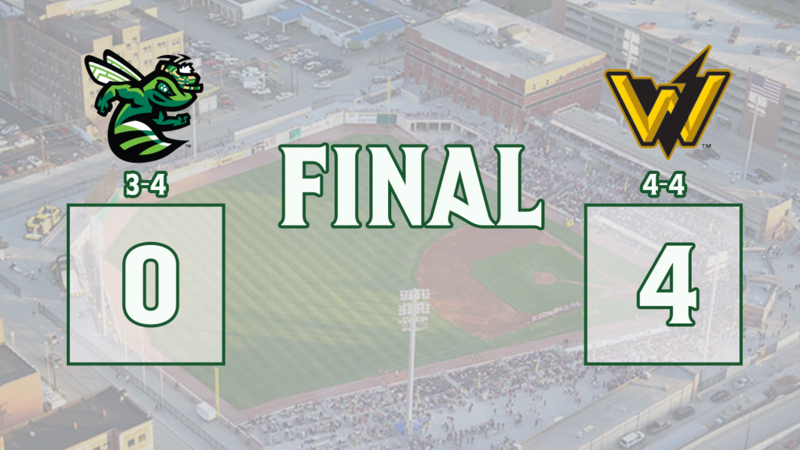 Charleston, WV: West Virginia starter Ryne Inman had the GreenJackets off-balance all night long, and Augusta could only muster up two hits, as West Virginia took the series opener by a final of 4-0. The Greenjackets, Single-A Affiliate of the San Francisco Giants, could only come up with two hits for the night as the Seattle Mariners Single-A affiliate took the first game of the series. Augusta starter Gregory Santos showed why he's the #8 prospect in the Giants system as he had full command of his pitches. Santos allowed a solo home run in the 4th off Jake Anchia to open the scoring, making it 1-0 West Virginia. After Santos had gone 3.2 innings, following his 55th pitch of the night, he had to leave the game with an apparent arm injury. He finishes going 3.2 innings, allowing just one run and striking out three. As the GreenJackets struggled at the plate, West Virginia added a run in the 7th when the Seattle Mariners #2 Overall Prospect, Jarred Kellenic, smacked an RBI double to make it 2-0 Power. In the 8th inning, the Power struck with two more runs. Matthew Frisbee allowed one of them as he went four innings out of the bullpen allowing two runs. Preston White came into the game and went just 0.1 innings, allowing one run, as White walked Kellenic with the bases loaded making it 4-0. Kellenic ended up with a 3-for-4 night and two RBI's. The GreenJackets went down in order in the 9th and fell 4-0. Inman was the winning pitcher while Santos gets the loss. The GreenJackets fall to 3-4 while West Virginia goes to 4-4. After Jake Wong struck out the side in the first inning of his first start in Asheville, he couldn't make it through the 2nd inning as he allowed three runs. Wong will look to respond tomorrow as the 3rd Round pick in 2018 will face Elias Espino. Espino, the right-hander from the Dominican Republic, was signed as an International Free Agent by the Mariners back in 2016. He went four innings in his first outing against Greenville and allowed two runs while striking-out four.